What is periodontal disease (gum disease)? 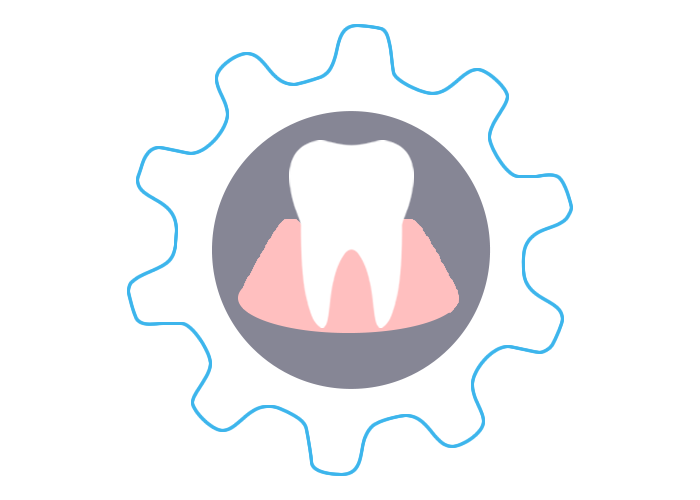 Periodontal disease affects the gums, bone and other surrounding supporting tissues of the teeth. Periodontal diseases are serious bacterial infections that destroy the attachment fibres that support and hold the teeth within the jaw bone. If periodontal disease is left untreated it may lead to tooth loss. What causes periodontal disease? Periodontal disease is caused by plaque, a sticky film of bacteria that constantly forms on the teeth. These bacteria create toxins that can result in gum damage. In the early stages of gum disease which is called gingivitis. The gums become red, swollen and bleed easily. This stage is still reversible and can be helped by daily brushing and flossing. Periodontal disease is usually painless; therefore you may not know you are suffering with it. In the more advanced stages of gum disease, called periodontitis, the gums and bone supporting the teeth can become seriously damaged. Why do some people suffer from this problem and not others? Around 10% of the population is susceptible, however, this can be aggravated by genetics, stress or smoking. Certain diseases such as uncontrolled diabetes may also increase susceptibility. What can I do to avoid periodontal disease? Regular dental examination and screening for pocket formation and bone loss will help. In addition you must remove the plaque from your teeth and gums every day with proper brushing and flossing. In addition professional cleaning needs to be carried out at least twice a year. The frequency of professional cleaning will depend on your individual needs and needs to be prescribed by a dentist or a periodontist. If your dentist suspects periodontal disease a referral to a periodontist should be arranged. What can I expect the first time I visit a periodontist? During your first visit the periodontist will carry out a review of your dental and medical history and then a complete oral and periodontal examination will be carried out. This consists of assessment of mobility of teeth and measurement of recession. A small measuring instrument will be used to measure pocket depth at six points around each tooth. This is the space between the teeth and gums. Radiographs (x-rays) may be used to show the bone loss between your teeth. What are some of the ways to treat periodontal disease? Treatment methods depend upon the type of disease and how far the condition has progressed. The first step is to remove plaque and calculus deposits from beneath the gum line, this is called debridement. This will allow the gum tissue to heal and reattach to the tooth. This procedure is usually carried out with local anaesthetic and over about 1-2 visits, depending on the extent and severity of the disease. After tooth debridement you may notice an increase in recession due to healing of the gum tissues and this may result in some sensitivity due to exposed root surfaces.